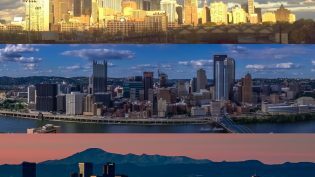 By Christine Schmidt @newsbyschmidt April 11, 2019, 12:25 p.m.
Pittsburgh’s The Incline joins the roster of Pulptown in Orlando, The New Tropic in Miami, Bridgeliner in Portland, and The Evergrey in Seattle. Part of Spirited Media’s trouble, executives said, was that they didn’t start building memberships among readers soon enough. 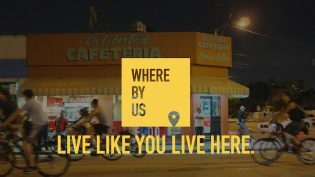 Whereby.Us is four months into experiential-focused memberships: helicopter ride giveaways, discounted event tickets, behind-the-scenes tours of the science museum, tacos-and-tattoos meetups, indie bookstore gift cards, and other ways to help hipsters lessen their gentrifying and build community online and in person. Love Miami as much as we do? Join The New Tropic’s growing community and become a member today. Your generous support enhances our work so we can help deepen your connection to Miami while investing in the future of local journalism. Love Seattle as much as we do? Join The Evergrey’s growing community and become a member today. Your generous support enhances our work so we can help deepen your connection to Seattle while investing in the future of local journalism. “People who are clear supporters of our brand look for ways to support us and tell us they got their friends and colleagues to sign up and it seemed like a natural ask for them to support us financially,” Alexandra Smith, Whereby.Us’s growth editor (and a recent Knight-Nieman Visiting Fellow), said. So what made Whereby.Us go for it? Its tech, financial, and audience houses were finally in order enough to start building the relationship of membership — plus the company participated in Facebook’s recent membership accelerator, a coaching program with 17 outlets (nonprofit and for-profit) that move baby membership strategies along. “The difference for us is that we’re not an investigative shop, we’re the not The Wall Street Journal, we’re not producing loads of content like metro dailies. The things we looked for first was experiential, to help you live like you live here with membership,” Rebekah Monson, Whereby.Us’ COO, said. Membership comes in many forms, including volunteerism, networking (In Whereby.Us’s newsletters “we spotlight a member with a short Q&A and one question we always ask is what’s something you’re working on you could use help with,” Smith said, adding that Whereby.Us then facilitates those connections), and straight-up money. In a previous fundraising round, Whereby.Us asked its subscribers to chip in as crowd investors with a $500 minimum. They brought in $250,000 from individual followers. $10 a month seems a bit more attainable than that. Sopher is currently seeking investors again, saying “there’s a lot of energy out there about the future of local media” — though Spirited’s leaders said part of why that company fell through was that they couldn’t persuade investors to commit. Whereby.Us relies on a mix of revenue through its creative agency and advertising products. Last year, we noted 30 percent came from advertising in the newsletters and half from the creative agency; half of revenue still comes from the creative agency, with the other half coming from the combo of advertising, membership, events, and other projects, Sopher said. The team is going deeper as the company grows, not just wider. They’d previously pegged expansion at 25 cities by 2019, and, erm, they’re not close. Monson said that was an intentional pivot and that they’re in exploration mode to sprout elsewhere in the second half of this year. But they got The Incline. Since Whereby.Us was already gearing up to expand, taking an established site under their hood was doable, Monson and Sopher said. “We’ve launched new products, a membership program, we’ve deployed a bunch of things to help us support the work — as we checked all the boxes, now we know we’re ready,” he said. POSTED April 11, 2019, 12:25 p.m.
Schmidt, Christine. "Experience experiments: What Whereby.Us’s membership model looks like after adding a Spirited Media site." Nieman Journalism Lab. Nieman Foundation for Journalism at Harvard, 11 Apr. 2019. Web. 19 Apr. 2019. Schmidt, Christine. "Experience experiments: What Whereby.Us’s membership model looks like after adding a Spirited Media site." Nieman Journalism Lab. Last modified April 11, 2019. Accessed April 19, 2019. https://www.niemanlab.org/2019/04/experience-experiments-what-whereby-uss-membership-model-looks-like-after-adding-a-spirited-media-site/.